Ever since the barn burning rock band from Stockbridge, GA burst onto the national scene with the runaway success of their multi-Platinum 1993 debut, HINTS ALLEGATIONS AND THINGS LEFT UNSAID, and its ensuing mega-smash hits like “Shine” and “Breathe,” they’ve been on an upward trajectory that’s seen them play to sold-out audiences across the globe while concurrently amassing a most impressive catalog of beloved songs instantly recognizable by their titles alone. That 25-year tradition will continue as the band--Ed Roland (vocals/guitar), Dean Roland (rhythm guitar), Jesse Triplett (lead guitar/background vocals), Will Turpin (bass/background vocals), Johnny Rabb (drums/background vocals)—heads out on their U.S. tour which should last through the end of the year. 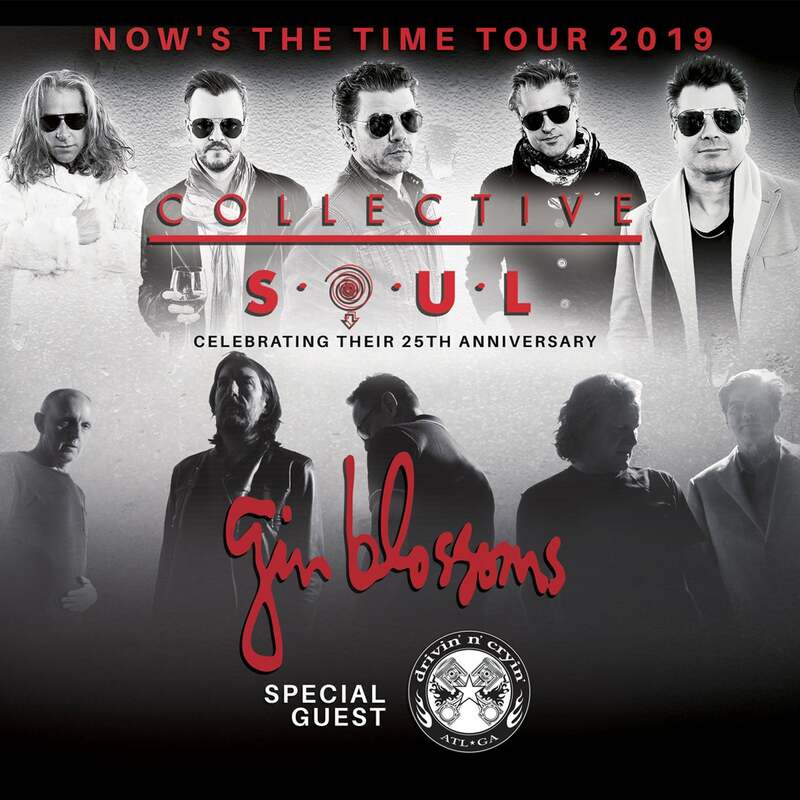 Later this summer, they’ll embark on their “Now’s The Time Tour” with Gin Blossoms.